Yesssssss killer girls who actually kill things, why did it take so long for me to find one? Feels like every book I've had so far that promised 'brutal' girls winds up with no on-page death, or the plot twists in knots to justify things, or some other 'out' so the girl can still stay 'good.' Not Lira, tho. Nope, she's murdering boys in the first few chapters just for the pure pleasure of it. And ooooh I love Lira so much. I love her whole story, from fucked up childhood to kinda-redemption arc. I love that it was clear from the start that she was molded into being a killer and probably wouldn't have picked that for herself, but also that the book doesn't shy away from the fact that she thoroughly enjoys it anyway. I love the way her affection for her cousin is displayed without going over-the-top with the whole 'what is love, I don't know this emotion' angle. I just love her. Elian is cool, too, I guess. But have I told you about Lira? lol, okay, being serious again, Elian is a fine hero and counterpart to Lira, and the two have good chemistry and play off each other really well. I liked the way his passion was described, but let's be honest, his greatest asset was as a foil to Lira. The rest of his crew was more interesting as individuals. 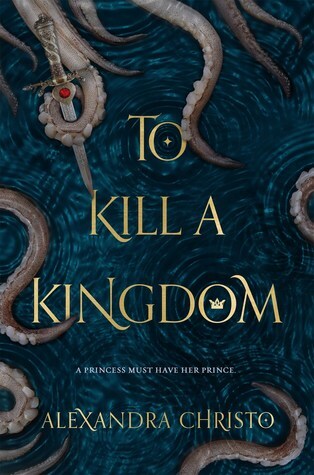 The plot was a solid adventure story with lots of swashbuckling and fighting and an epic battle and satisfying ending and I'm sorry, I just don't have much to say about books that I like? It was a good, more adventure-y retelling of The Little Mermaid and you should read it. I wanted to love this one a bit more. Surprisingly enough, I liked Elian more than Lira. Haha! I love the idea that the girl in this one isn't 'good'. Storylines tying themselves in knots just to avoid a young female character being truly bad are so irritating. This one sounds refreshingly different. One for the TBR!